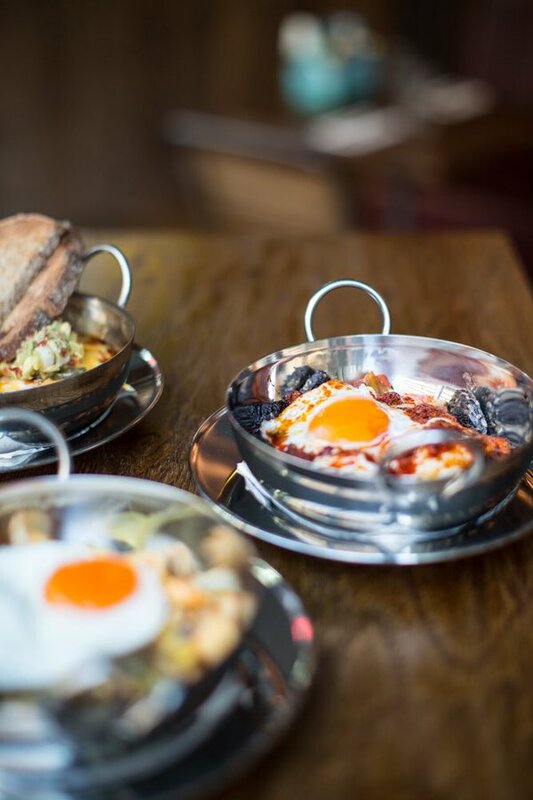 Bad Egg is London’s ultimate brunch destination in Moorgate. Great weekend noisy brunch. Good to be able to switch between mimosas, prosecco or Bloody Mary's. Food brilliant and drinks service absolutely amazing!!!! I came to the Bad egg with my husband and son yesterday. I would like to thank you for a wonderful experience. The atmosphere was welcoming, food was delicious and the prosecco was flowing. We never had to ask for a top up! I would highly recommend!! Staff were very attentive, friendly and professional. A very well run environment. Amazing food, service and vibes. The best birthday celebration I could have asked for and our waiter went above and beyond to ensure me and my friends had a good time. Will 100% be returning. Now that's the sort of feedback we love to hear; thank-you, Chelsea! Wonderful to hear you had a fab birthday, and even better to read a promise of return... Hopefully we'll see you again soon! Food and drink were average to poor. Not a good venue for the summer! The only comment will be on the menu/ I’d love to see more variety there. Thank-you for the five-star rating, and the great feedback here. Awesome to see you had such a good time with us, of course! Thank-you also for offering a bit more constructive commentary too - noted! Hopefully we'll be seeing you again very soon indeed. Good food, friendly service and more than adequate topping up of prosecco! Lovely feedback here; thank-you! Excellent to hear the food and service impressed, and that you were topped up throughout the Brunch. I hope we'll catch you again in the future, and that you've had a great Easter weekend! There were multiple large bookings which made the restaurant almost unbearably loud. As it is a small restaurant I’d recommend limiting the large bookings or seating them further apart as I couldn’t hear my friend talk and she was sitting opposite me. Only complaint. Food and service were incredible. I'm sorry that you found us a little overly-rowdy during your visit, and that the placing of your table made it hard to communicate at times. Thank-you for sharing this feedback with us, however, as it's a really useful account of what we need to consider in making the experience of Brunch at Bad Egg even better for our people! On the flip side, it's great to see that you enjoyed your visit nevertheless, and that our food and service were on point. Thank-you again for taking the time to share your review and let us know too in the process! Good value for money, staff were on the ball with filling up drinks. Food was delicious! What a lovely little review; thank-you for taking the time to share this! We're a proud little bunch, so it's always great to get this sort of feedback, especially when it's across the board for service, atmosphere, value and food... Hopefully we'll catch you again very soon! Great friendly service and the party of 14 were all very happy with the food. Will be recommending to friends and family. 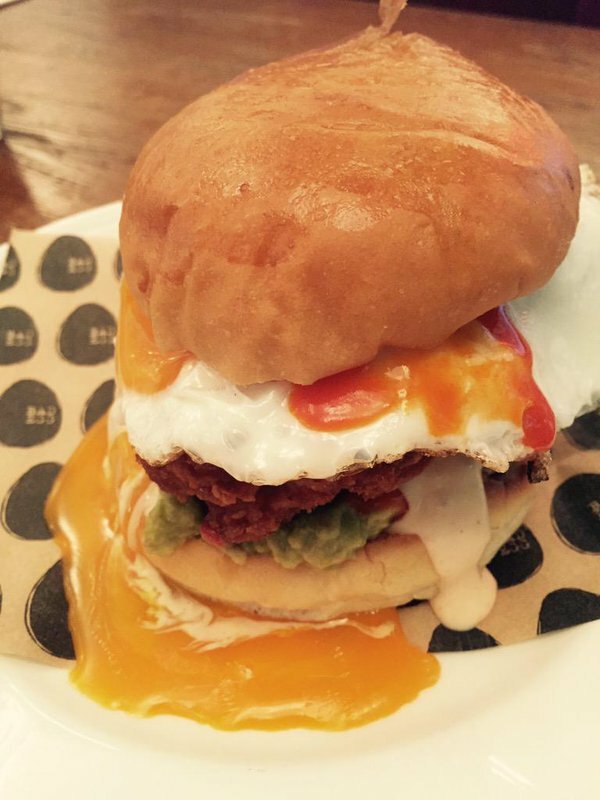 Hopefully we'll see you back here yourselves very soon for more Bad Egg shenanigans! But disappointed that the frunch menu had been swapped for the normal brunch menu without us being informed- as we deliberately chose to come on a Friday for that reason! Apart from that the food was very nice, although could have done with slightly larger portions. Atmosphere was amazing and the staff were fab at topping the drinks up. Thank-you for taking the time to review us, and in the process, offer us some useful feedback here too. I'm sorry to see you were disappointed  at first, with our running of our weekend Brunch instead of Frunch for the Bank Holiday, but I hope it was handled well by our friendly Team, and it's heartening to read that you rated our food and service highly despite this! Thank-you for your understanding, there, of course. 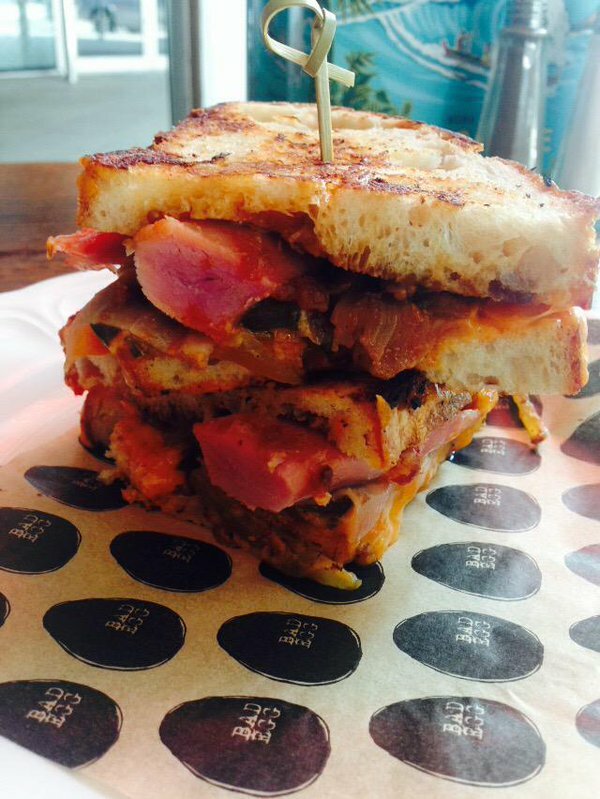 It sounds like we'll have to tempt you back soon for a Frunch, which we'll be running every (non Bank Holiday) Friday from 2.30pm until late. Feel free to give us a call on 020300 66222, or drop us an email to [email protected] if you have any trouble booking online, of course! Until a hopeful next visit, thank-you so much once again for taking the time to rate us, and take care! We booked the bottomless brunch assuming that we would get the Frunch menu as it was a Friday, when we got their we was told that it was only the bottomless brunch. We picked this brunch because it included Corona for the two men of the group but the brunch menu which we received didn’t, the manager on duty did apologise but wouldn’t give us the other option or not even a free beer to start. She just sort of brushed it off and said it’s not available, didn’t even try to rectify or try and make us happy. It doesn’t say on your website that the frunch isnt available on bank holidays so it was very disappointing to not get this. Service was good, food was ok and I suppose you can’t go wrong with Prosecco but I wouldn’t recommend or return to this brunch. I hope you don't mind, but I've whizzed you a quick email across with regards to this review. Thank-you for taking the time to review us, too, of course, and I hope we'll see you again here at Bad Egg in the future for a much more characteristic Bad Egg experience (ie. much better!)...! 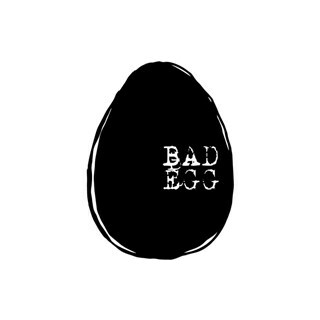 It was the first time that I tried Bad Egg and since I read some good feedback, I decided to try. I loved the green smoothie, but unfortunately the pancakes I received more seemed microwaved than other thing. They were super hard instead of soft as they should be. Thank-you for taking the time to review us, and in turn for offering us some useful feedback too. I'm sorry that our pancakes weren't up to scratch on this occasion; we do make them in house, and have no use for a microwave in our kitchen, so a review like this for them is somewhat disappointing for us too...! They definitely shouldn't have been hard at all, so I'll be sure to pass this back on to our kitchen. I hope we'll see you again in the future nevertheless, for a much better brunch or breakfast experience on this subject. On the other end of the scale, thank-you for our high marks for service, and the positive comments on our drinks. If you have any further feedback, feel free to drop us an email to [email protected], of course. Until that hopeful next time, do take care, and thank-you once again for taking the time to review. Me and my friend loved it! Great to see vegan options too! Keep more coming! Plus our waitress, Tash was so lovely! Thank you very much for your lovely review! Tash is a superstar so I'm really pleased our guests think so too; I'll be sure to pass on your lovely comments to her! Amazing service and welcoming, friendly staff. And alcohol/drinks selection and volume were fantastic. But food was slightly disappointing with the starter being very small and poorer quality than expected. Main courses were tasty but a few weren't very warm and contained only small amounts of meat in the lamb/pork hash dishes. But overall a fab and fun experience and great idea to have a brunch on a Friday evening! Hey there Stephanie, just touching bases on your review. Very happy to hear that the team were their usual amazing selves, bit unfortunate to hear about the food as we do try to always make sure your happy with the food, is there anything else you could specify, We just want to make sure our standards are always on top. Overall we had a good time at Frunch. The food was a little disappointing - it wasn't exactly a sharing starter and our fries were uncooked. The staff were all really friendly and kept us topped up. Thanks for your lovely review; we really appreciate your time! 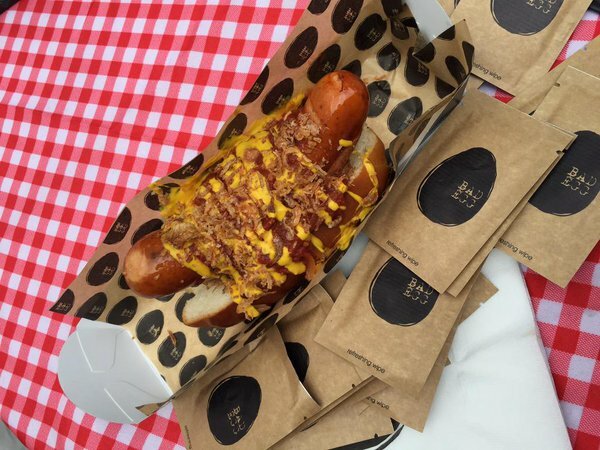 It's great to hear you enjoyed your Frunch with us; apologies that your food wasn't quite upto scratch however. 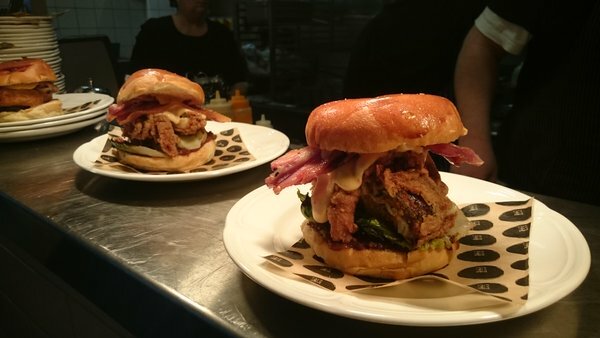 We'll pass your feedback to the kitchen team to iron out any niggles going forward. 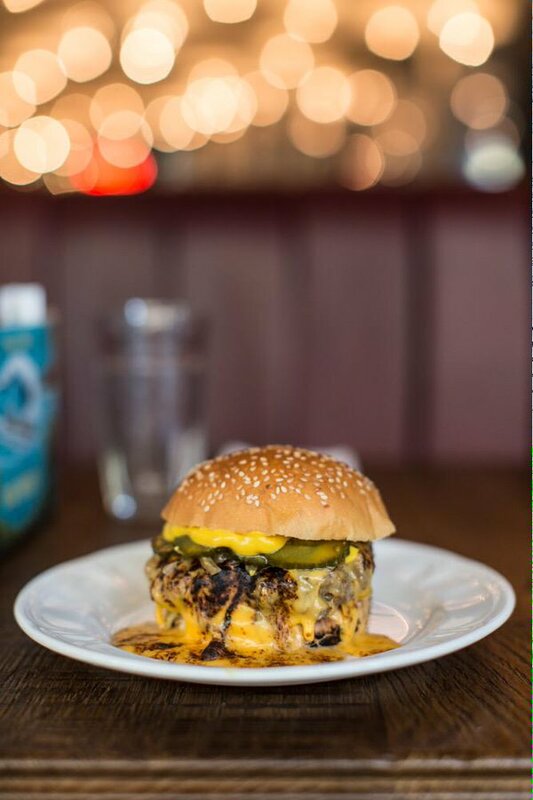 Hopefully it didn't take away from your evening with us and you'll be back again soon. Please get in touch directly with us at [email protected] if you're planning to return; we'll make sure your food is on point! Welcome wasnt great, we stood around for a while before someone even spoke to us and even then a smile would have been nice. Some more substantial vegetarian options would be nice. Also had to send first order back as Poached eggs were over cooked. Ok for a quick bite but I’ve been to much better brunch places and this wasnt the birthday treat for a friend i was hoping for. Disappointed. Thank-you for the balanced feedback here, and I'm sorry that your Brunch experience was not as on point as it usually is here at Bad Egg. We're a friendly little team, so your feedback regarding your greeting is surprising, and somewhat disappointing reading; I'm so sorry for this! No smiles is certainly not the welcome we aim to provide on any day. I'll be sure to run this by the Team in our next meeting, so thank-you for providing a little insight there. I hope your overcooked eggs were rectified quickly and with very little fuss, too; once again, apologies for this. Mistakes do occasionally happen, and it's important to us that they're managed in the best way possible. More importantly, I hope you'll both return to us again in the future to see what we're really about here at Bad Egg, whether for (a better) Virgin Brunch, or midweek for our A La Carte menu if you wanted a little more of a leisurely visit, and weren't too bothered about the allure of bottomless booze. I'm sure we'll hit the mark next time, and give you a proper Bad Egg experience. In the meantime, do take care, and thank-you once again for reviewing us like this, as this sort of feedback is actually incredibly useful to us in making sure we stay on our best game in the future! Thanks for your review; we're delighted you enjoyed your time with us! We had an amazing time at Bad Egg on Friday. The food was great and lovely sized portions. The only downside was that the slushies were unavailable due to the machine being broken which was unfortunate as we had heard about them and were really looking forward to them. Other than that it was a brilliant night and our waitress was excellent. Thanks for your feedback and kind review; it's really helpful for us as a small team. I'm really delighted to hear you enjoyed your evening with us; apologies about the slushy machine however. We had worked it quite a lot for the previous sittings and so she just needed a little resting time! 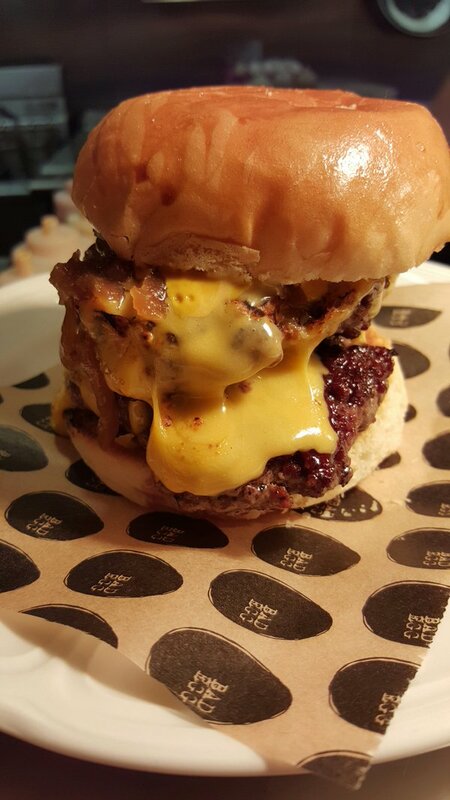 Hopefully it didn't take away from your experience with us though and you'll be back for to try them another time. Do get in touch directly with us at [email protected] if you are looking to re-book again; we'll make sure we have slushies available for you this time! It is the first time that I have been, really lovely food and free flowing booze... it just felt like you were a little bit hemmed in. I will definitely be back#! Thanks very much for your great review! 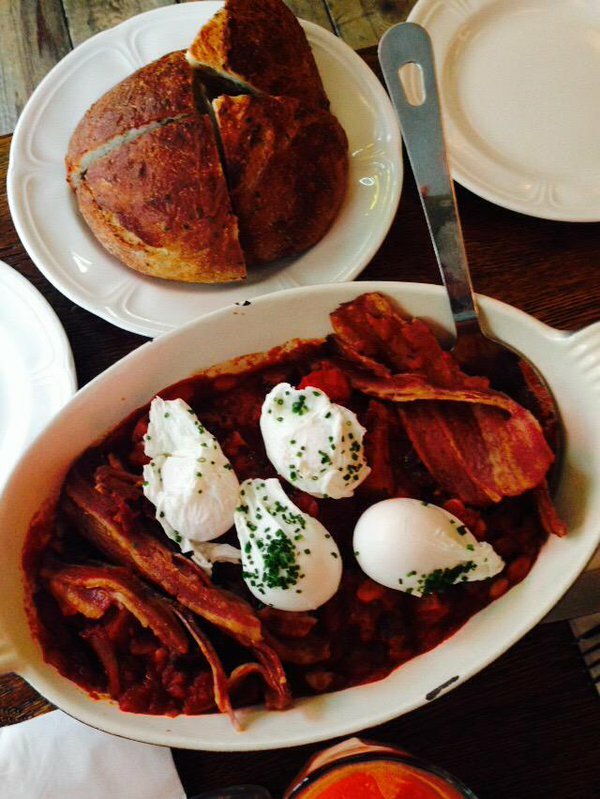 Such a joy when we receive such positive feedback from our brunch-goers! Thanks so much for your lovely review; we love a strong emoji game! Ahhh the korean wings are a definite favourite of ours too; crowd pleaser I'd say! Hopefully the atmosphere wouldn't deter you from returning to us again; we'll keep an eye on the volume going forward! Very good value for money and service, will definitely return! Yes; that is what we like to hear! We are thrilled you enjoyed your experience with us and would already be a return guest; that's our goal! The food was delicious, and the service was amazing, staff were constantly topping up our drinks I would defo recommend. My only negative is that the nachos could have been better, the cheese wasn’t great and the toppings were sparse so we all felt they could be improved but other than that perfection, thank you! Thanks for your feedback and lovely review; we really appreciate your time. 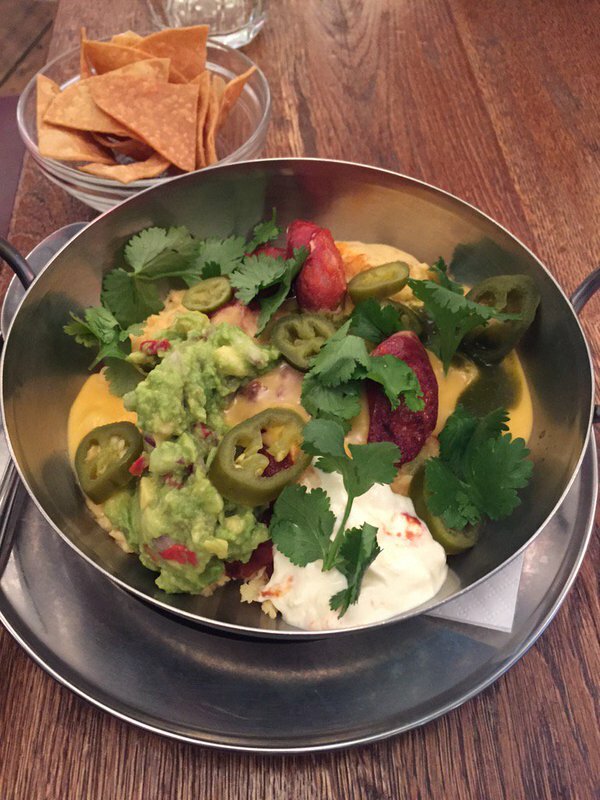 Apologies that the nachos weren't uptown scratch during your visit. I've passed your feedback onto the kitchen team who will monitor this going forward; thanks for letting us know.